Our building down here is going to be anniversary central for the next week. 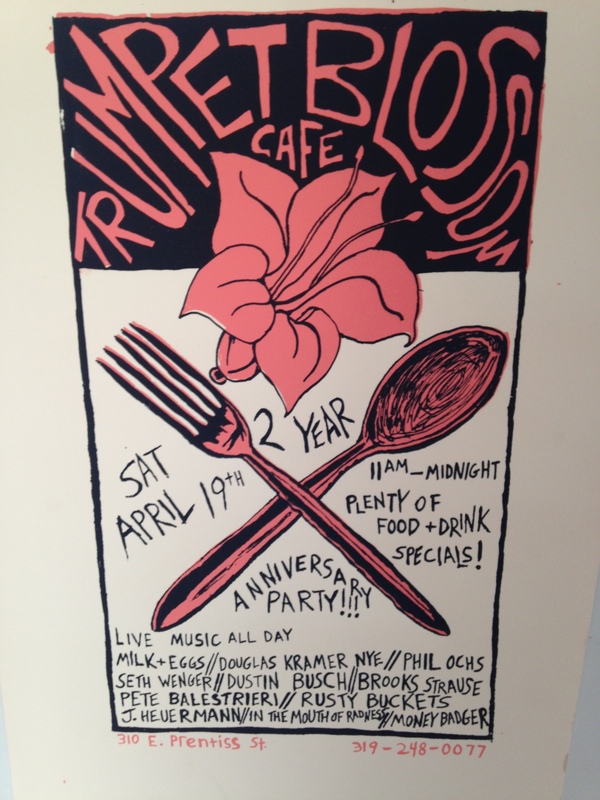 First up our neighbor the Trumpet Blossom Cafe is celebrating 2 years of great food, drink, and music on Saturday! 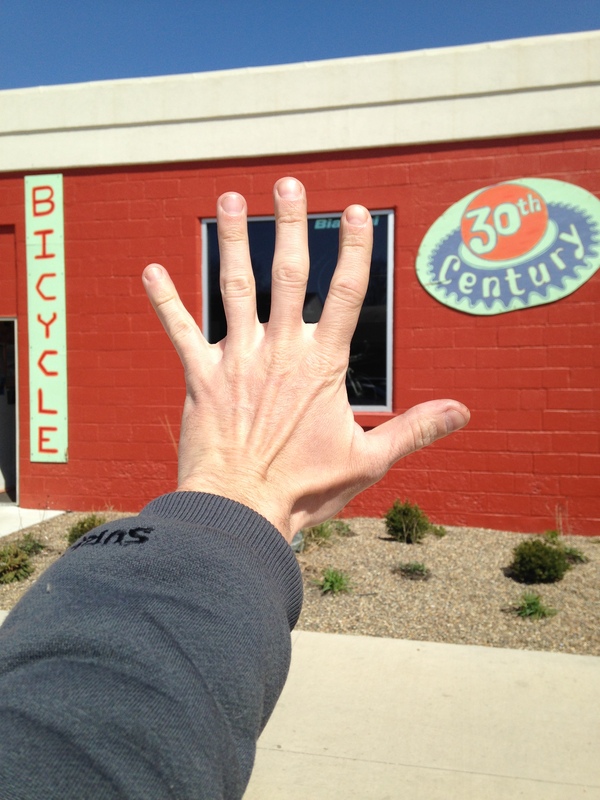 Not to be outdone but without a poster we will be celebrating our FIVE year anniversary on Earth Day, next Tuesday April 22nd! We have come a long way since we started in that garage. Well, okay we are still in that garage, but it’s a bigger garage with more stuff. We won’t have live music or food and drink specials, but all qualifying purchases of 5 dollars or more will qualify for a free high five! Maybe we will crack open a couple of 5 packs around 5 if you want to stop by for the 5 top tales from the 5 years gone by. As ever when we think back on the time past we have to consider it a privilege to get to do what we love and we have to THANK YOU for that. So thanks, and here’s to 5 more years!